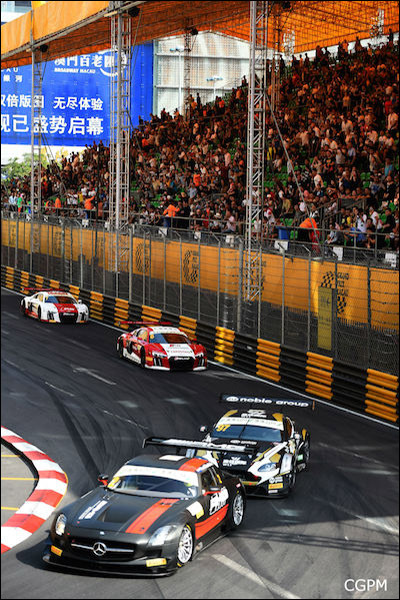 Maro Engel took victory in the FIA GT World Cup yesterday after an eventful, but rather shortened race which saw René Rast in the new Audi R8 LMS take second and Stefan Mücke in the Craft Bamboo Aston Martin in third, Safety Car interventions restricting the race to just 14 laps! 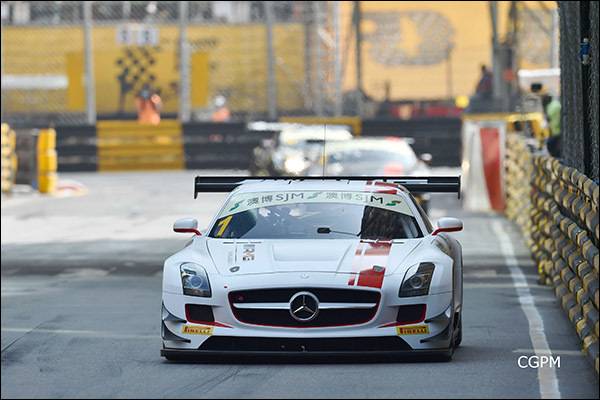 Mercedes-Benz earned the inaugural FIA GT World Cup for Manufacturers. As the lights went out, Mortara made a brilliant getaway and stormed into the lead, but Engel snatched back the lead in the run down to Lisboa and set off to pull a gap from his rivals. Behind him, Mercedes AMG Driving Academy team mate Renger van der Zande also made a good start, getting by Stefan Mücke in the Craft Bamboo Aston Martin and then Mortara to go second. As Mücke challenged van der Zande, the pair came together resulting in bodywork damage to the Dutchman’s car. 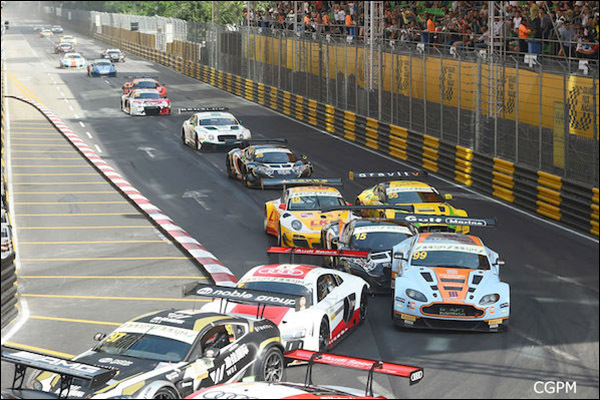 A door to door moment going in to Lisboa Bend let Mortara through as they ran wide at Lisbon. 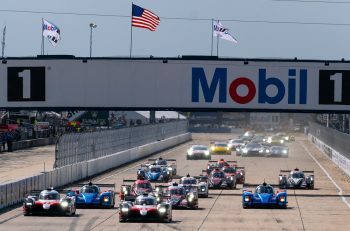 The early stages also saw the elimination of two other top entrants with Richard Lyon’s Craft Bamboo Aston Martin rear ended by Kevin Estre’s FFF McLaren. 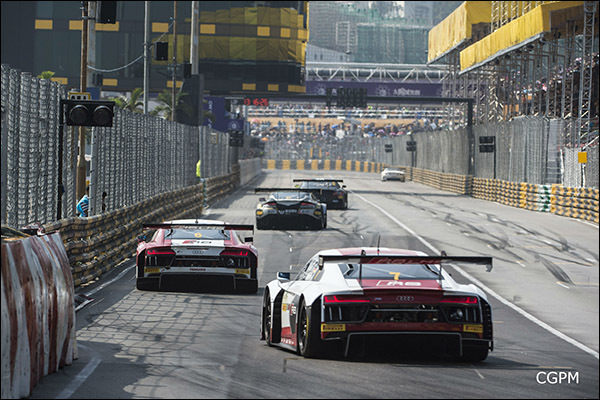 The Safety Car was called out on lap 14 after Vutthikorn Inthraphuvasak crashed heavily at Paiol, snatching away Engel’s hard-earned, eight second advantage and closing up the field. 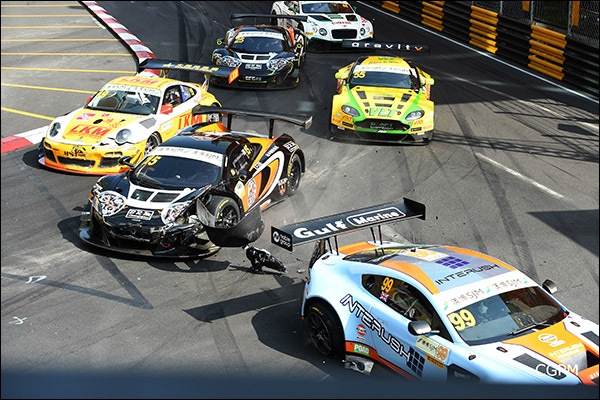 As the cars circulated behind the Safety Car, hoping to get a couple of racing laps in on the Guia Circuit before the flag, a multi-car pileup ensued at Moorish Hill after John Shen’s lapped Porsche 997 GT3R hit the barriers triggering a multi-car knock-on accident. 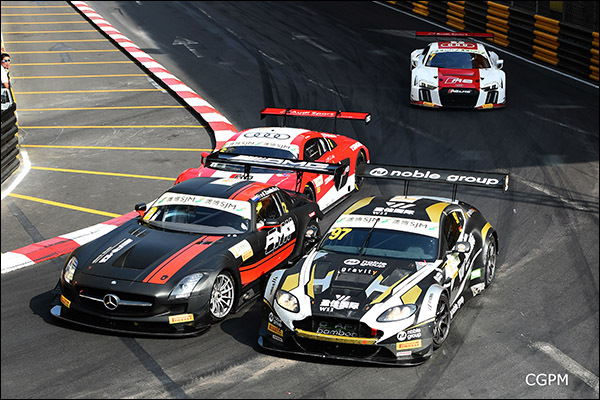 That brought out the red flag and the result was called as at the end of Lap 14, with Engel and Rast followed across the line by Edoardo Mortara. 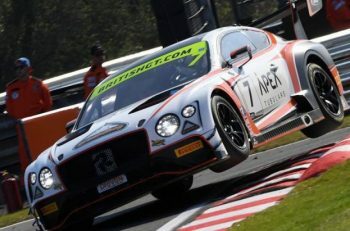 However, Mortara was later judged to have jumped the start and handed a 20 second penalty which dropped him down to sixth.